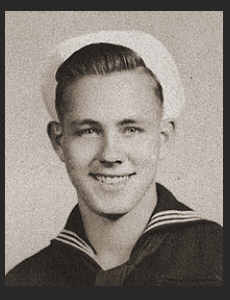 PhM 3/c Richard A. Godfrey, son of Mr. and mrs. George Stiebens, graduated from Manitou High School. Entered Navy in Nov. 1944. Trained in San Diego, Cal. and served at the Naval Hospital, Norman, Oklahoma. Awarded Victory Ribbon, Am. Theatre Ribbon.